Graph.tk is a very useful web app (HTML 5) to draw math graphs, solves, simplifies, integrates and differentiates expressions. 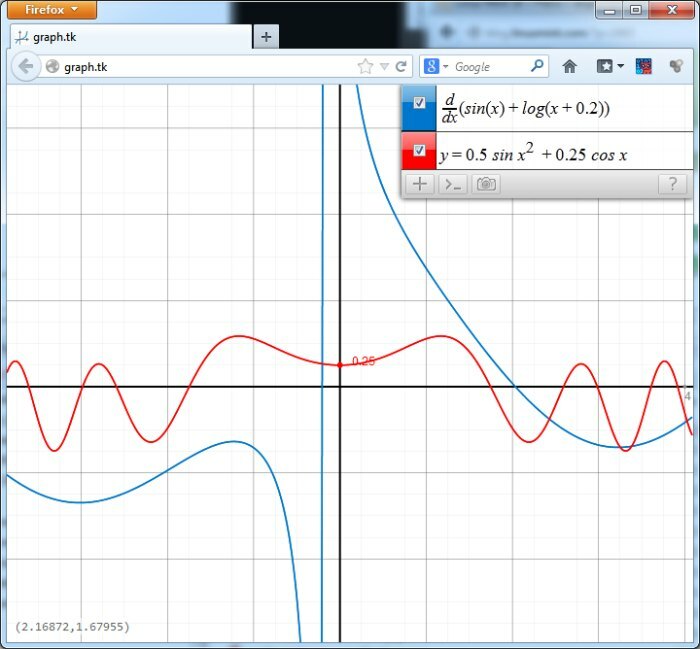 Graph.tk supports the live-coding for math graph which is really cool! A must have utility in your toolbox. More information about Graph.tk can be found here.